Somerset Puteri Harbour Iskandar Puteri is strategically located within Johor, home to developments such as EduCity which houses several world-class university campuses, Medini which encompasses business and leisure districts, the Southern Industrial and Logistics Clusters and Afiat Healthpark. 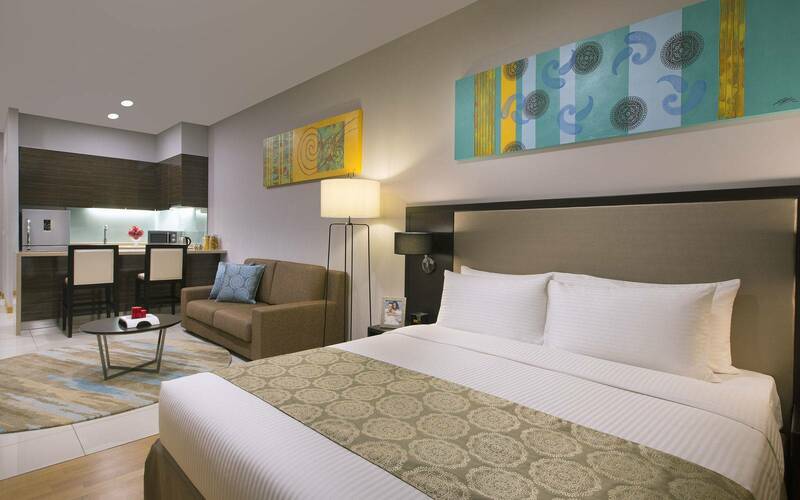 The serviced residence is within walking distance to Kota Iskandar, the Johor State’s new administrative centre. It is a 20-minute drive from the Malaysia-Singapore Second Link causeway and 25 minutes away from Johor’s Senai International Airport. It is also easily accessible via the coastal highway which links Iskandar Puteri to the main Johor city centre and the Johor-Singapore Causeway. Travellers can enjoy excellent connectivity to other parts of the Iskandar region via the water transport terminal, bus terminal and light rail transit station situated in the property’s vicinity. As part of the luxurious waterfront development of Puteri Harbour, Somerset Puteri Harbour Iskandar Puteri is near quayside lifestyle stores, fine dining restaurants, alfresco cafés and an indoor theme park featuring popular children’s characters such as Hello Kitty, Thomas and Friends, Barney and Bob the Builder. Furthermore, it is just 10 minutes away from the first Legoland theme park in Asia which opened in year 2012. Somerset Puteri Harbour Iskandar Puteri offers spacious apartments ranging from studios to three-bedroom units that come fully-furnished with modern amenities. 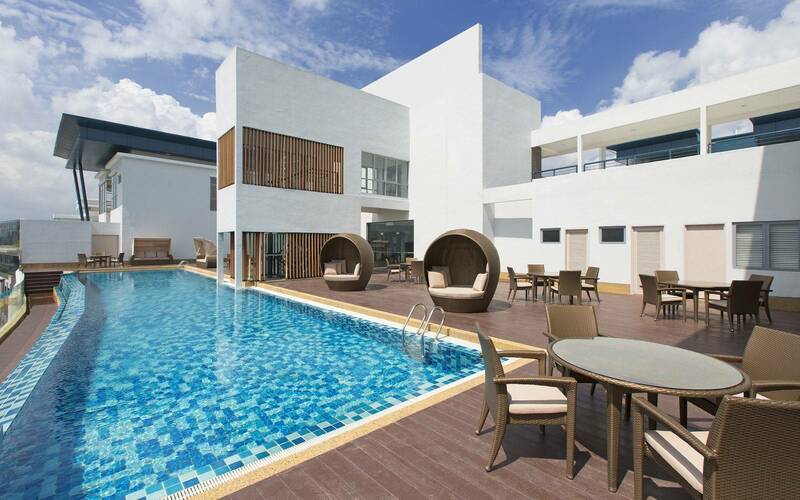 With facilities such as a gymnasium, swimming pool, restaurant and residents’ lounge available in the property, Somerset Puteri Harbour Iskandar Puteri provides the ideal home away from home for travellers and their families to live, work and play.